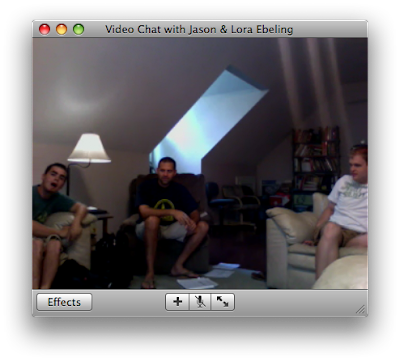 We-Ambassadors: In staff meeting from 700 miles away! And I am blogging! 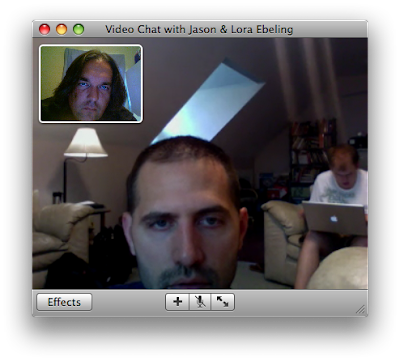 We got iChat logged in and the webcams running. Jason looks dazed and confused. Wow...thanks for that flattering picture. I think I was trying to figure out why we have a guy who looks like he could be on America's Most Wanted serving as our Children's Pastor? Seriously though, thanks for making time to be able to meet from 700 miles away.